On March 26th, in a blog post titled “Announcing Airstone and the closure of Tinkercad“, Kai Backman, founder and CEO of Tinkercad, announced an “updated roadmap” for his company involving two things: (1) development of a new simulation environment called Airstone, and (2) shutting down of Tinkercad, their browser-based easy to use 3D geometry creation tool. This weekend, in a blog post titled “Tinkercad has found a new home at Autodesk“, Kai announced a deal where Autodesk would purchase the Tinkercad site and its core technologies. 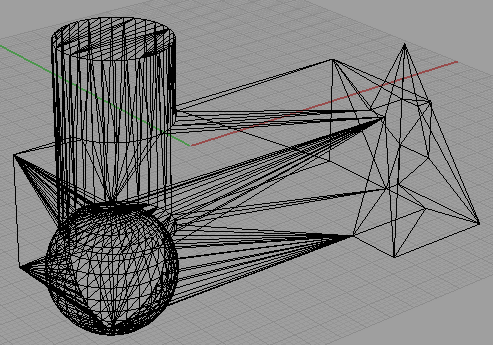 Some think Tinkercad is merely mesh objects being created and moved around in a WebGL browser window. Which is why many wondered why Kai and his team couldn’t simply open source Tinkercad instead of killing it. Tinkercad is actually much more than that. 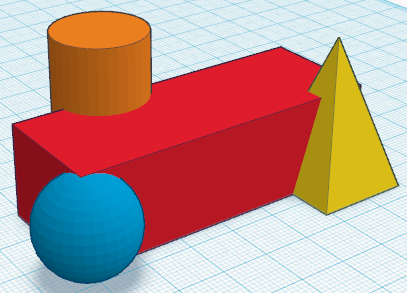 Take a look at this simple Tinkercad design I created using primitives. When I go to save this as a file for 3D printing Tinkercad actually does a boolean union of all the mesh objects and spits out a STL file, as you can see from this Rhino screenshot. Rhino reports no naked edges indicating that the model is watertight and suitable for 3D printing. This boolean union operation is a computationally expensive one and doesn’t happen in the web browser. It happens on the Tinkercad servers (actually a high performance cluster of servers) running a proprietary modeling kernel called Gen6, which happens to be a key piece of Airstone. Gen6 is the reason Kai and team couldn’t open source Tinkercad and had to take the decision to shut it down. So Autodesk is not just buying a pretty web site with some nice WebGL stuff on it. It is also acquiring the Gen6 modeling kernel or at least parts of it that are required to keep Tinkercad running. Autodesk intends to add Tinkercad to its 123D portfolio of easy to use CAD products, which makes perfect sense.